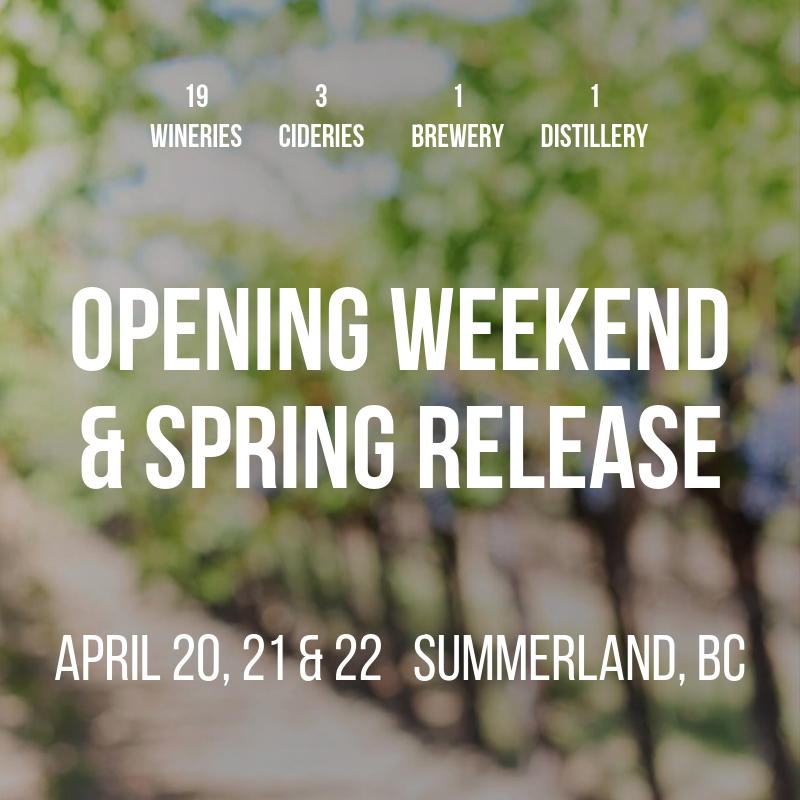 Bottleneck Drives 19 Wineries, 3 Cideries, 1 Brewery & 1 Distillery officially open their tasting room doors for the 2019 season on April 20, 21 & 22! You’ll be among the first to taste their brand new Spring releases! So mark your calendars, book your accommodation and spend the long weekend uncovering the gem of the Okanagan – Summerland. Download a map on their website or pick up a brochure at any one of the 24 tasting rooms on April 20th. We can’t wait to welcome you! Click here to read about all our Tasting Rooms! Sign up to receive our quarterly newsletter with exclusives, events, and the latest from Bottleneck Drive. Copyright © 2019 Bottleneck Drive — All Rights Reserved.